Michael S. Wilk - Mediator based in Houston, Texas. Please click your preferred available date to submit a request. Your Appointment Form will be sent to Michael's assistant, Marina Moreno. Michael S. Wilk is president of Hirsch & Westheimer and a member of its Executive Committee. 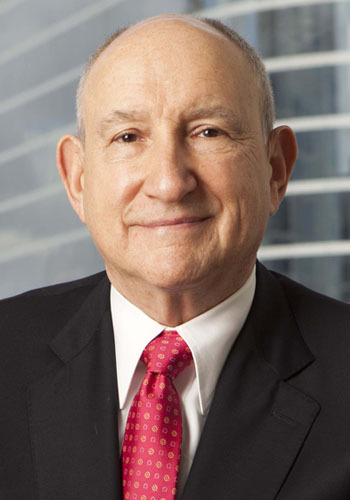 Michael joined the Firm immediately after graduating with honors from the University of Texas School of Law in 1966, where he was an Associate Editor of the Texas Law Review. During his career, he has assisted clients with the overall structure and supervision of business transactions, frequently representing buyers and sellers of businesses and commercial real estate. In recent years, he has represented clients in contested civil litigation addressing issues of contract, real estate, partnerships and corporations, banking, common-law fraud, contested wills, breach of fiduciary duty, bankruptcy, and creditors' rights. He has successfully defended financial institutions in lawsuits involving claims of breach of good faith and fair dealing, usury, anti-trust, lender liability, and family trust mismanagement. Since 1991, he has focused on Alternative Dispute Resolution. He has also acted as mediator or arbitrator in hundreds of cases involving complex commercial and business disputes. He is a frequent speaker on topics such as arbitration, mediation, and future ADR trends. He has published numerous articles on Alternative Dispute Resolution procedures. As an arbitrator and mediator, Mr. Wilk is a member of the American ArbitrationAssociation Panel of Neutrals/Large Complex Commercial Cases; CPR International Institute for Conflict Prevention and Resolution (Panel of Distinguished Neutrals) and the American Health Lawyers Association Panel of Neutrals (Arbitration and Mediation). He was chairman of the ADR Section for the State Bar of Texas for 2005-2006. He has also served as a Director and National President of the Association of Attorney Mediators; Director of the Harris County Dispute Resolution Center; Chairman of Peer Mediations and Schools Task Force for the Houston Bar Association and the Houston Bar Association ADR Section. Mr. Wilk has been recognized in the Texas Monthly's annual publication, Texas Super Lawyers for ADR, from 2003 through 2010 and in the 2007 International Who's Who of Business Lawyers for Arbitration. Basic Mediation Training, Attorney-Mediator s Institute, Dallas 1990.
International Mediator Institute - Certification.